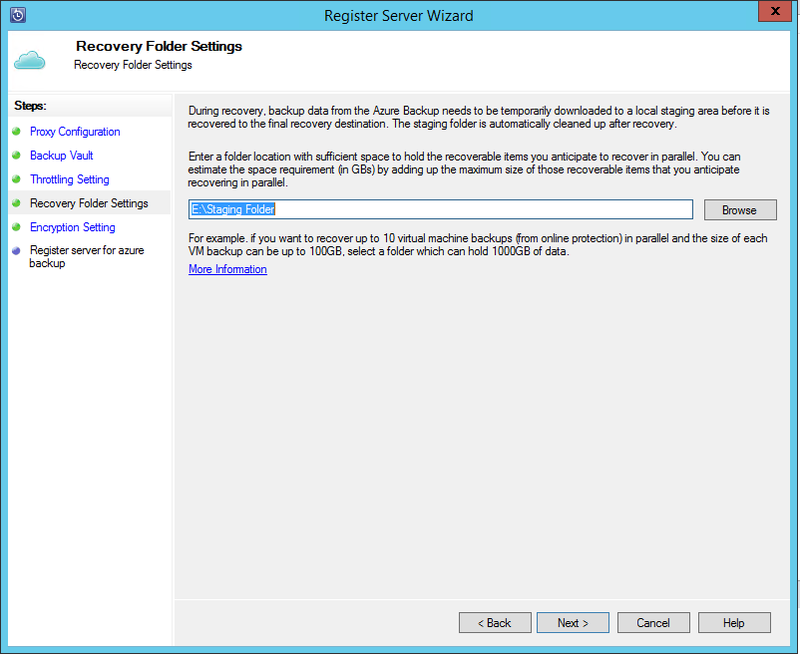 With the recent update to the Long Term Retention Periods for Azure backups and the features planned for the new year, I have recently begun talking to more clients about the integration of DPM with Azure Backup. The Backup Vault is a great feature of Azure that can take place of those boxes of tapes that require archiving offsite every week and speed up the recovery time of end user data. 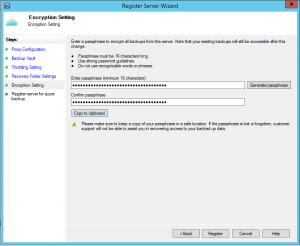 The following article gives a quick overview of how easy it is to register and link a DPM 2012 R2 server with an Azure Backup Vault. 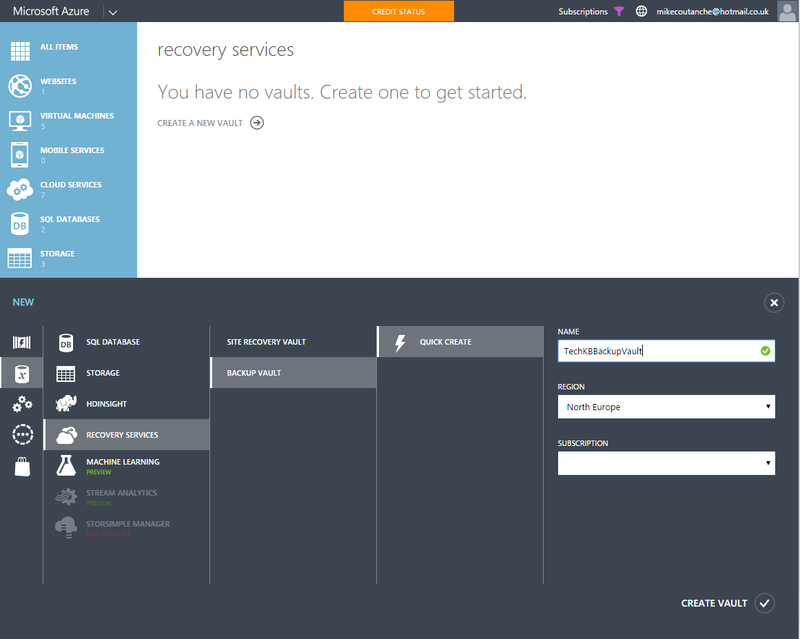 The first step to the process is to log into Azure, select Recovery Services then click the + NEW button to create a Backup Vault. 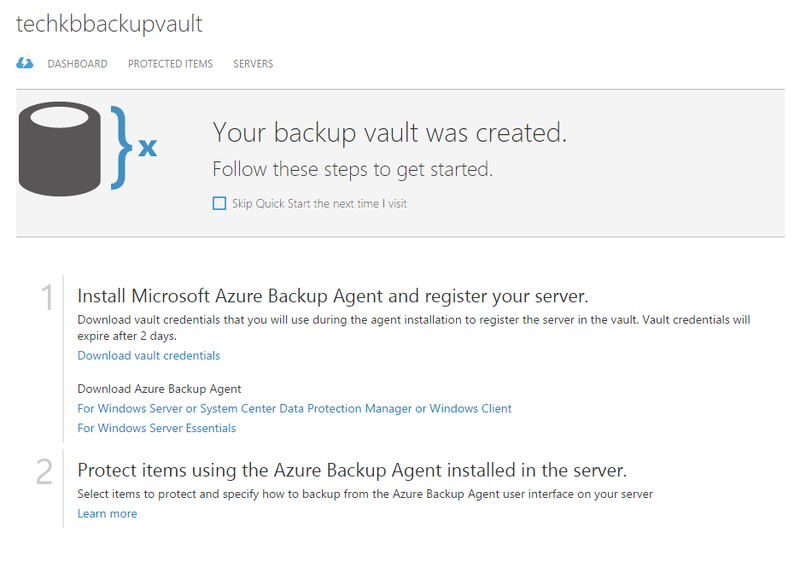 Once the Backup Vault has been created, clicking on the vault to open it to make available the options to download the two required files. 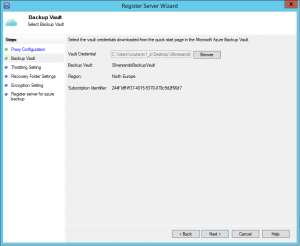 The first file being the Azure Backup Agent which will need installing on the relevant DPM server and the second file which is the validation file, this will be required when registering the DPM server with the Azure Backup Vault. 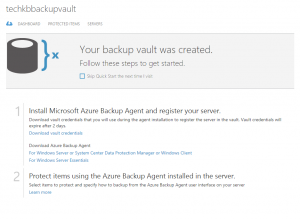 Once the Backup Vault has been created and both the DPM agent and Validation file have been downloaded to your DMP server. The next step is to install the agent. 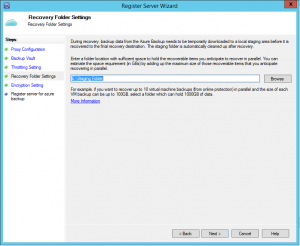 During the installation process it is possible to change the installation path and the cache location. 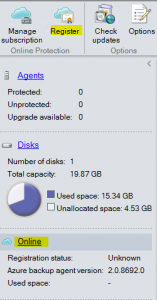 The cache location is used to keep track of the files that have been archived to Azure and require disk space equivalent to at least 5% of the planned backed up data. Once the agent is installed, the next stage of the process starts from within DPM. Open the DPM console and browse to the Management view, then click on the Online option in the left hand window. clicking on the Online option will change the ribbons view exposing the options required for the next step. 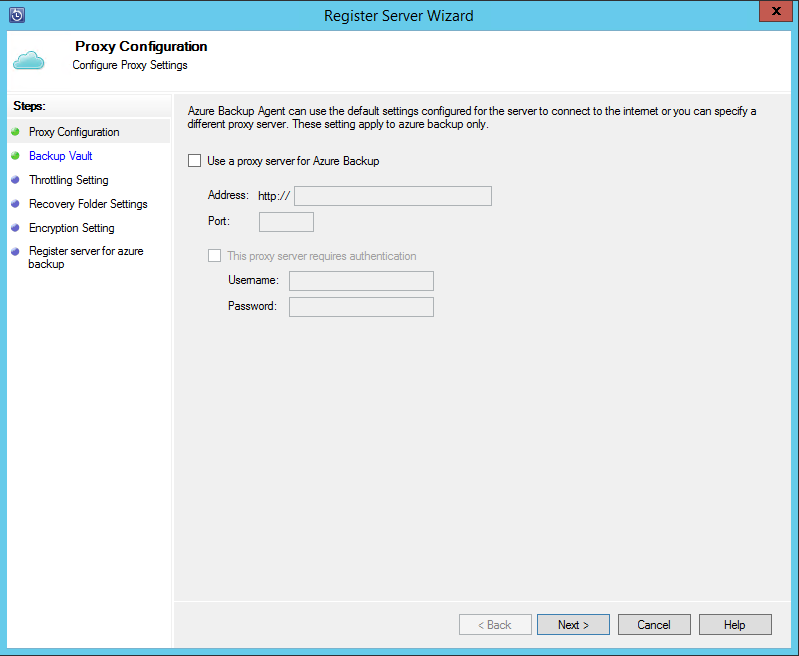 From the ribbon select the Register option, this will open the Register Server Wizard. The first page of the wizard is used to setup any proxy that is required for the server to make a connection to the internet. 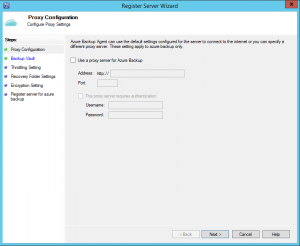 Either fill in the necessary proxy details in or leave blank if no proxy is required and click next. 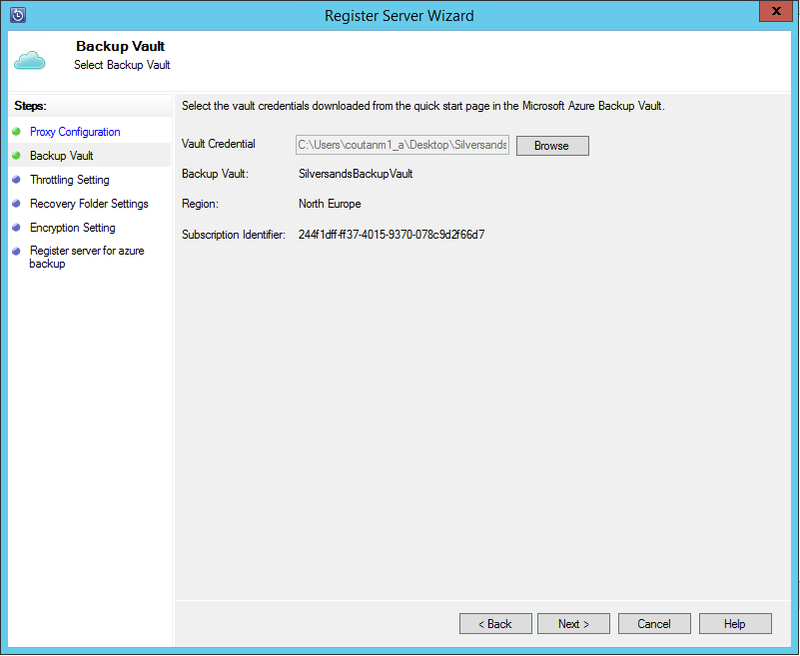 The second page of the wizard is used to import the validation file that was downloaded during the creation of the Backup Vault within Azure. 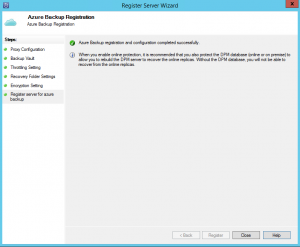 This is used to validate the DPM server against the Azure tenancy and the Backup Vault. Using the validation file negates the need for uploading expensive certificates. The next page offers the ability to setup different bandwidth throttling for work and none work hours. 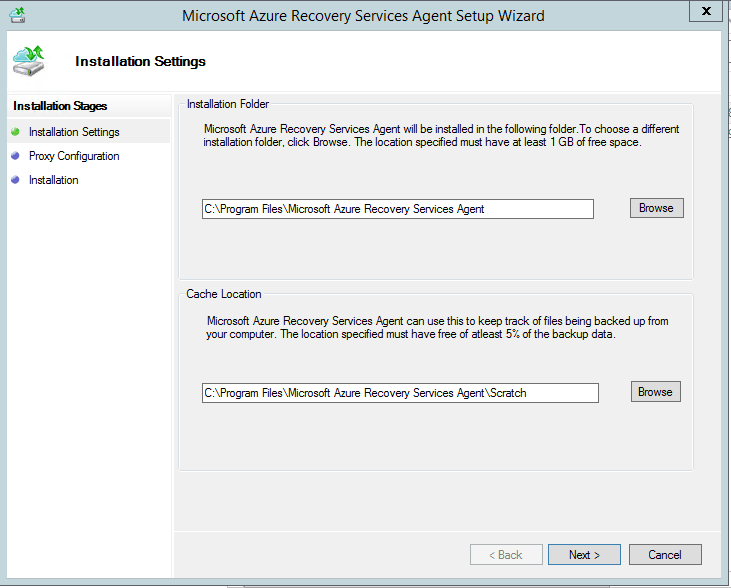 The following page makes it possible to configure the location of the staging location. 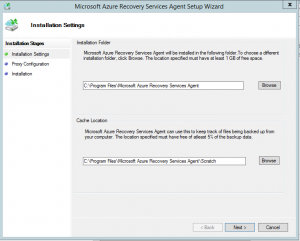 The staging folder is a location that is used by the Agent when recovering data from Azure and as such should have enough disk space to house the volume of data expected to be restored in the largest restore envisaged. 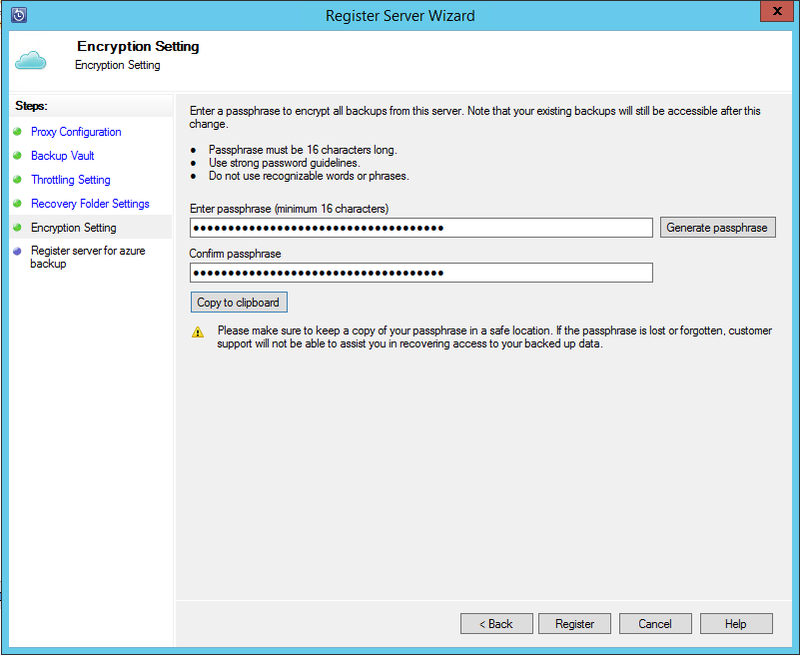 For security the next step of the install asks for a passphrase to be configured. This can be one that is predefined or its possible to allow the agent to generate a phrase for you. Clicking the Register button completes the process. 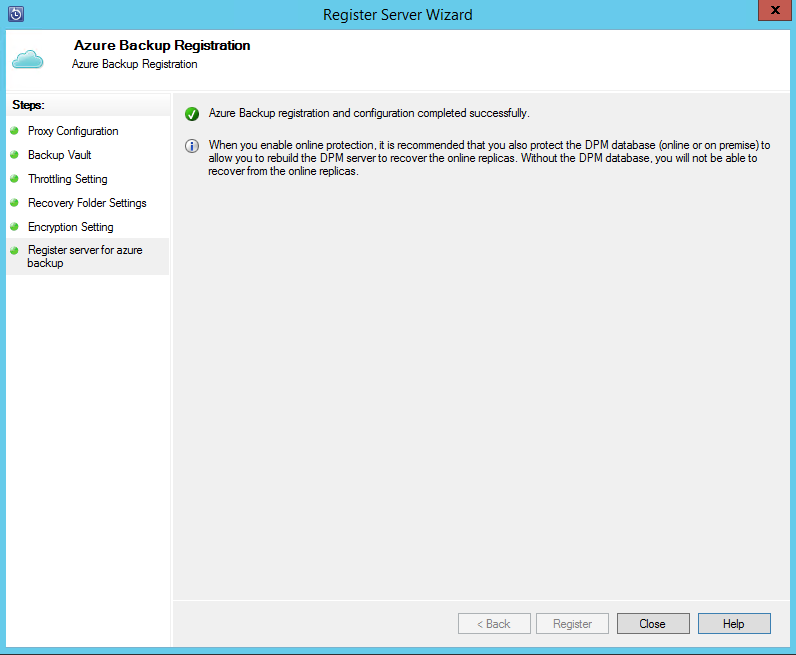 It is now possible to edit protection groups and add backup copies to Azure. Bandwidth throttling in DPM is set on an individual protected computer bases. This allows the admin to tailor throttling requirements to the protected computer, based on network speed, business policy, geographical location and so forth. 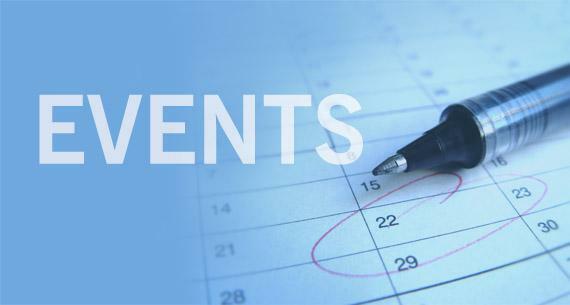 For example: An admin may need to configure endpoint laptops to be backed up only during the working day, limiting bandwidth when the endpoint is potentially outside the organisation. 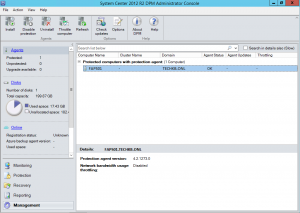 To throttle network bandwidth usage for a protected computer in DPM 2012 R2, begin by opening the DPM console. Select the Management tab, then click on the Agents link in the top left console panel which will display all protected computers in the window on the right as well as changing the DPM ribbon to make visible the Throttle computer button. Select the protected computer that requires network throttling and then click the Throttle computer button, this will pop up the Throttle wizard. Check the Enable network bandwidth usage throttling check box and then configure the appropriate settings. This is done by establishing Work hours and Work days then assigning throttling limits to each period of time.